We should all send him a mail ! I was actually close to purchasing this aircraft because it looks extremely well done. But in view of the preceeding posts, I think I’ll put it on hold unless the developers change this. Its ok for if the whole title check online the licence. We know it from the market. 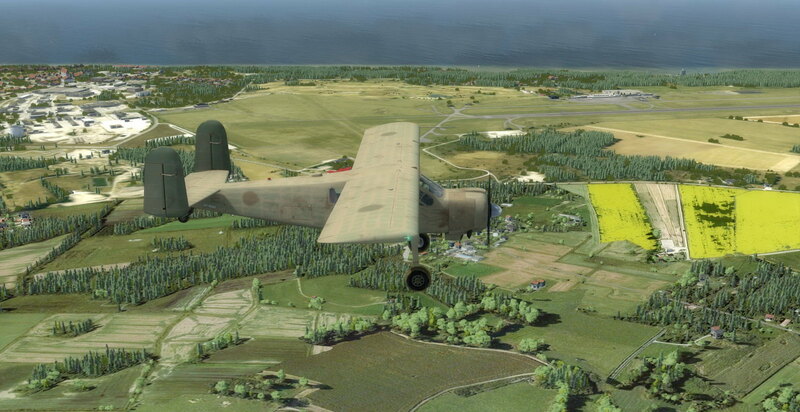 Eagle Dynamics (DCS), 1CGS (IL-2 Sturmovik) do this but its for whole sim, once, but the addon? Can't imagine if the others do the same way in every time and what if I havent net for a limited time? DCS and IL-2 offers offline mode, I suppose here no this option? According me its a wrong way. The one from difficult security has SSW (manual hardware fingerprint) but its one time also. The way the post above re: license checks makes it sound like it was just once when you first start the aircraft, not for every time after. Been loving it so far! Does anyone else notice the 985 is really a beast to keep cool sometimes? 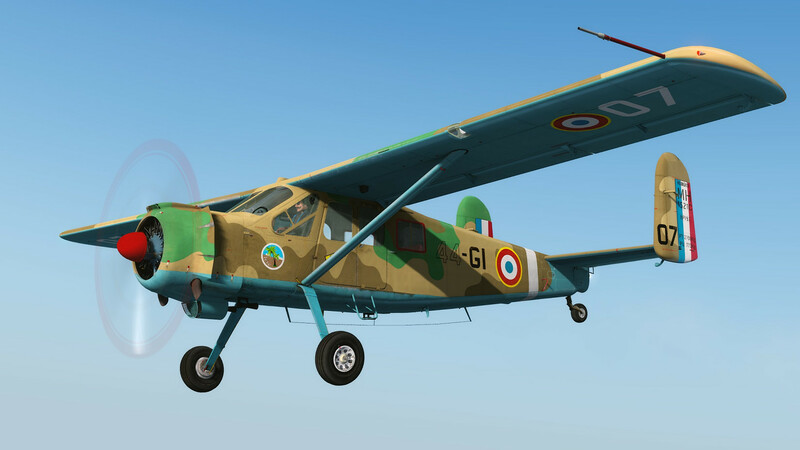 Once again - the Broussard is a very, very nice plane and have the potential to be a "Bestseller" - i hope that ATSimulations will change the way they handle the "Lisence-Check". As Warhorse47 mentioned in his peply, i did'nt like an addon which checks for updates by himself. The other thing is that an internet-connection works ever in two directions - once a connection is established, others can have access to your PC. It is not that i will say ATSimulations will do that but they could be hacked as every other account in the world-wide-web and then .... . I emailed Andrey a few days ago and received a reply in which he stands by the decision to use the internet check. I disagree with him and wish he'd change his mind. I suspect this will impact sales of the Broussard and that's a shame as it's a very well done plane. Still glad I bought it but disappointed that there will be times on my PC that it will be unusable. but this model looks fantastic and its in my "style" definitely . Last edited by YoYo; January 10th, 2019 at 08:08. Quite hot discussion here I found, let me clear some things. First of all thank you so much for kind words about our projects, special thanks to people who purchase them, you will not be disappointed I'm sure. About Internet connection which is must with ATS Broussard, and so hot hated here - it used ONLY for key validation. Take a look around, nowadays refrigerators, tv and even toasters could be connected to the Internet, so it's quite simple requirement to ask and provide easiest way to check the copy. I do believe that most applications in your phone do the same. If you are using sim in lonely chalet up in a mountains without any web connection... well, seems Broussard is not for you right now.. So, no doubt - if you like it, take it. 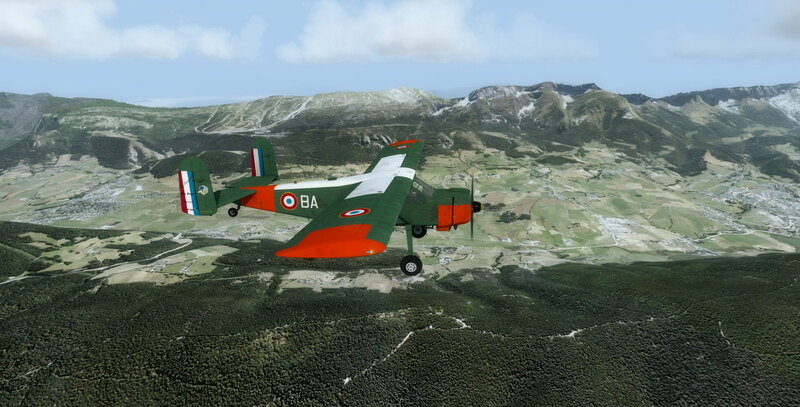 We are working on some updates right now, tundra, skies, floats maybe ILS versions would be provided in 2019. I can't monitor this thread too often, so if you have some question better drop me a line into PM or email. Andrey, thank you very much for your explanation here - i think it is clear now for everyone. In my hangar also ! The first contact: very well done! DM is present also. Sheesh Fireball6 after absolutely castigating the thing, now seven posts later you want a longer aerial!!!!! 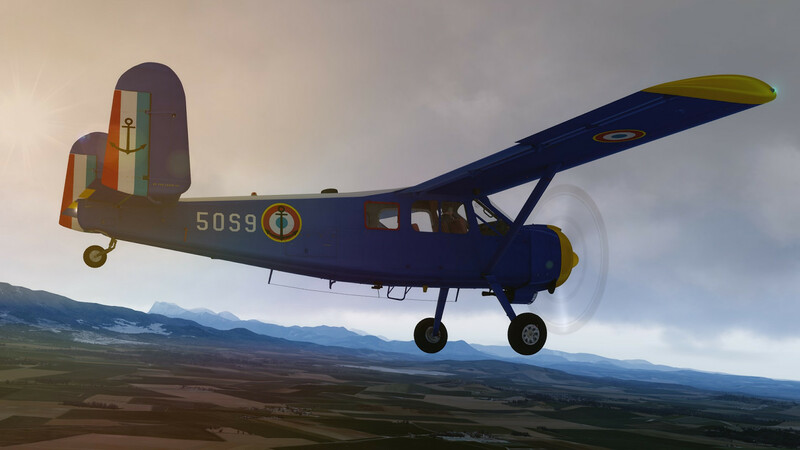 We are working on some updates right now, tundra, skies, floats maybe ILS versions would be provided in 2019. 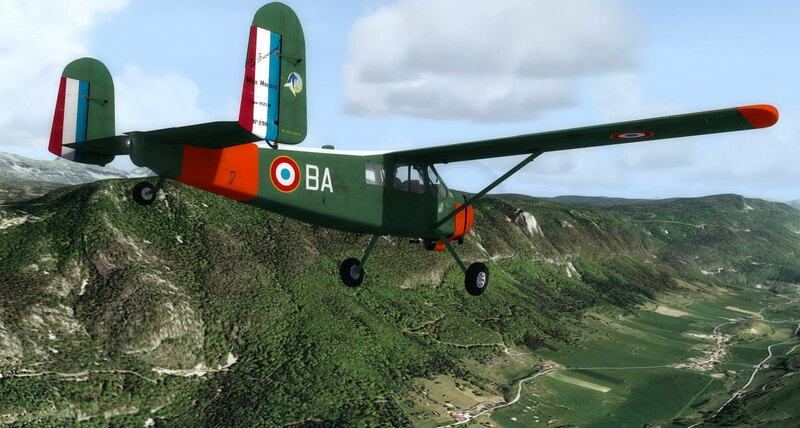 I am not sure what you mean with "absolutely castigating the thing" - I am one of the customers who bought the Broussard before the Requirements were changed and for me, as for others too, it was not clear that an internet-connection is needed everytime you start the plane in your simulation. 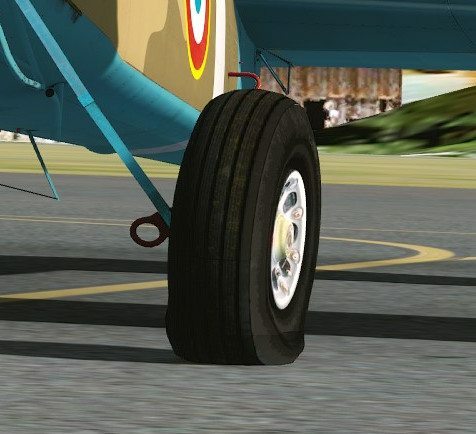 I wrote my thoughts here in this forum and more than once i wrote also that the plane is a very well crafted addon. Andrey give us a good explanation here and i make the decision to use it as it is - and no, my mind did not boggle - but i found it better to leave the plane in my sim as delete it and ask for a refund. So, why do you think you should charge me ? I cant find the manual. I've been reading all the latest posts about internet connections etc, and so far appear to have had no problems, but I'm keeping an eye on it. I do agree that Andrey has developed a superb product and deserves support- I'm sure that most of the questions and problems will be overcome in the near future. I know little about computers, so I'd like to make some comments about something I'm a little more familiar with. The R985 in the Broussard does seem run a little hotter than the same engine, in say the Beaver, (ref the Milviz Beaver). I find that opening the oil cooler gills, and selecting cowl flaps fully open after engine start, allows the C.H.Ts to rise gradually, and the oil temps to stay in the green while taxying. Prior to applying full power for take-off, the CHT usually is about 205C degrees, even at high ambient temps, during take off up to about 215-220 during take-off, with the oil temps going into the red, about 80C. As soon as possible after take off, reducing power to 90(Atmospheres? ), seems to keep the CHT at about 220C, oil temps still slightly in the red, I.A.S 75 to 80 k, R.O.C. about 1.8 mps, (359 fpm). at say 762 metres (2500 ft) levelling out, power back to 80, 1800 rpm, brings the temp back in the green rapidly, with CHT 210-215. At moderate weights this generally gives a T.A.S 115-120 kts. I then slowly close the cowl flaps to about 30-45 percent. I have some limited experience with the R985, (the Beaver) and have not had similar requirements. Could be Cowl design. I'm sure their are others out there who can comment, but I hope this helps in the meantime. Re my previous. Forgot to mention, on climb, power to 90,r.p.m 2000, and depending on weight, power can come back to approx.8.8, the same r.p.m. The only other problem I have had is setting the D.G. on line up. for some reason, occasionally, the D.G. will not be aligned, before engine start, and once the engine is running, with all three suction indicators within the arc, though the D.G. indication will change with aircraft direction, the knob to change to the correct heading will not pull out. Anyone have the same problem? You can notice it if You use Track IR and not fixed fps. Strange... in the air is ok. FPS here are ok but strongly noticeable stutter is present. Something is wrong on the ground. Last edited by YoYo; January 11th, 2019 at 07:34. The battles between Spider-Man and his arch-rival Venom are the stuff of comic book legend. Perhaps you like the story. Than perhaps you like this repaint I am working on. 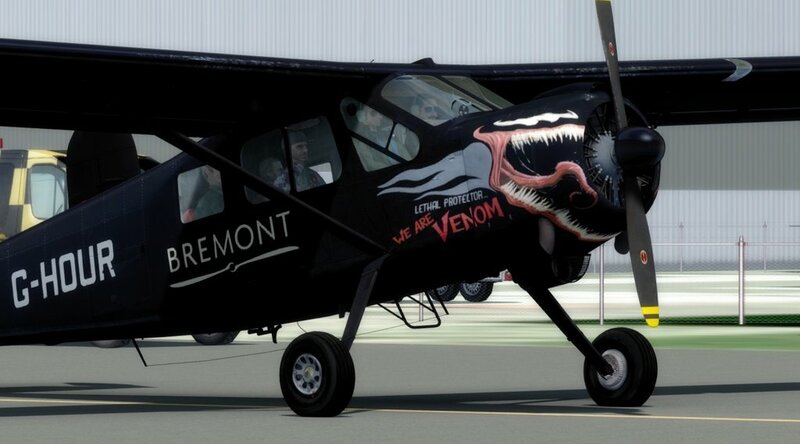 In fact, good old G-HOUR based in Duxford got a new paint. Owner is IMHO a Co-founder of Bremont watches, who himself is fan of the story. I thought about it half the last night and finally I found a reason of this stutter / fps drop on the ground with the help of ATSimulations. It a issue in this both blue gauges (wheels, tire deflection on the ground). Its a nice eye candy but something is wrong here and it's a case of stutter when the wheel rotates (so as I noticed on taxi, take off and till the few meters over the ground). You can turn it off by "//" but in this time no animation and half a texture. I wrote about it to Andrey, I hope he helps. internet works again, and thus the Broussard as well!